Nepal Apartment is an entity of Asian Heritage Group. We support welfare foundation run by this group by profit sharing and encouraging our client to get directly involved to uplift the health and lifestyle of left behind people and community with limited access of resources. Nepal Apartment is located near by the touristic hub, Thamel. The apartment is of 5 storeys and each storey occupies 2 bed rooms, kitchen, lobby, bathroom and balcony to rest and relax. If you are looking for well furnished luxury room with traditional touch, then Nepal Apartment assures your great stay in Nepal. Besides being beautifully decorated and well furnished rooms, we provide good facilities for our long term and short term staying guest. 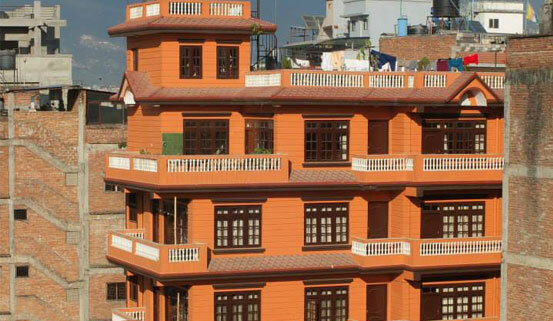 Nepal Apartment would be delighted to answer any of your queries regarding the apartment. To contact us give us a call, send an email or fill up the below form. Enter Security Answer: 8 + 3 = ? Nepal Apartment & Hotel Pvt. Ltd.
Asian Heritage Foundation Nepal is serving people from three districts, namely: Solukhumbhu, Khotang and Okhaldunga, covering their eighteen VDCs. Nepal Handicraft Collections (P) Ltd. is a recognized government registered company established to conserve the traditional arts and to promote and motivate old and new creative artists. Asian Heritage Export,Import & Cargo Pvt. Ltd. 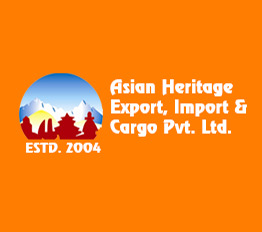 The Asian Heritage Export, Import & Cargo Pvt Ltd was established in 2000 in Kathmandu with the motive to cater to the logistics requisite of Nepalese Garments, Suppliers and the buyer all around the world. 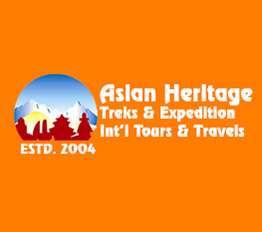 Asian Heritage Treks & Expeditions (P.) Ltd. Besides presenting our clients with quality services in trekking and mountaineering trips, we also specialize in providing cultural tours and adventure holidays packages for our clients who wish to savor foreign cultures or immerse themselves in an adrenaline filled holiday. © Copyright 2013 - 2019 Nepal Apartment Pvt. Ltd. All right reserved.